Home Cast iron cookware Learn about the benefits of enameled cast iron cookware. Learn about the benefits of enameled cast iron cookware. The compelling benefits of enameled cast iron cookware. Loved by both home cooks professional chefs and an increasing number of people are finding out about the benefits of enamelware. This is because the design combines both visual qualities with performance. Enameled cast iron is available and is easily accessible on the market in an array of styles. However for me the French still do it best. 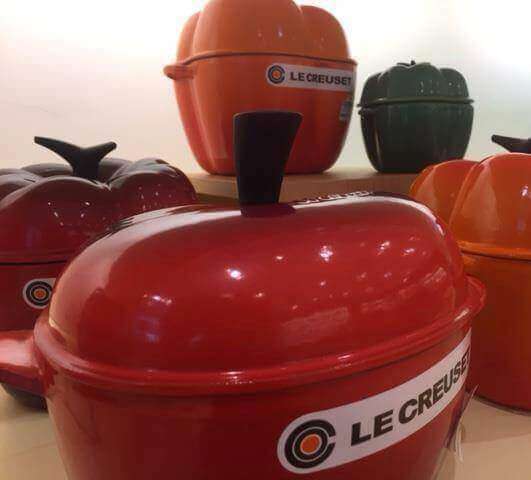 Two of the most well known brands are Staub and Le Creuset. Lodge Manufacturing make great skillets at very reasonable prices if you want a cheaper option. Enameled cookware can be very expensive. In fact I would still recommend a bare cast iron skillet for your first frying pan over enameled cast iron which can cost a pretty penny. For skillets, I would still go for a new skillet from Lodge. They really are so much fun to use. However bare cast iron may require seasoning after a while. One of the benefits of enameled cast iron is that you will never have to season your cast-iron. However if want to throw your cookware in the dishwasher or don’t want to re-season bare cast-iron then enamel cast-iron would be a better option. I think anyone wanting to slow cook meals in a French or Dutch over if you prefer should also consider the benefits of enameled cast-iron. Staub French ovens are some of the best and will certainly last you a long time. They look beautiful can handle acidic foods and with larger meals can up is a breeze. If you are cooking indoors I really would go for the enamel versions if your budget allows. Coming back to the clean up. Really if we want to look at one of the main benefits of enameled cast iron is that you can throw your cookware in the dish washer and worry about it the next day. Cast iron vs. enamel cast iron. 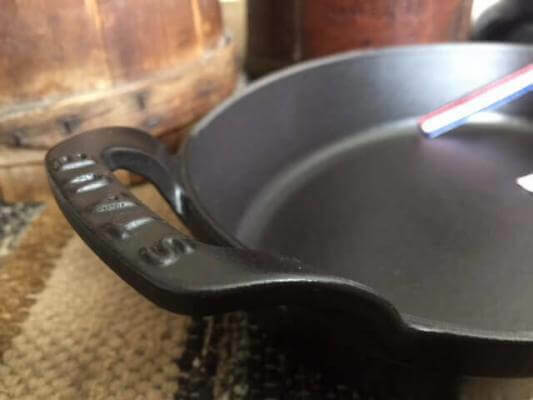 What most people think about cast iron cookware is the lovely black finish on skillets and Dutch ovens. Actually bare cast iron is not black but rather a silvery grey colour. The black colour comes from a layer of oil polymerized onto the surface. This layer is called seasoning and has nothing to do with salt and pepper. This seasoning also has non-stick properties. The seasoning also protects the iron from rust. Seasoning cast iron cookware will give the iron cookware a semi non-stick cooking surface. Most people start the seasoning process by placing some fat into the pan before heating the pan to smoking point. This process requires that you use the right kind of oil and the proper technique. This process is very easy but its a bit of a lost skill. Enameled cast iron differs from bare cast iron because it is rust proof. The cast iron metal is covered by a coating of porcelain, which is made from powdered glass. This version of cast iron cookware is a lot easier to care for. It is also available in a broad range of finishes and colours. To my knowledge enameled cast iron performs pretty much the same as bare cast iron in terms of heat retention and distribution. However enameled cast iron does not need to be seasoned. It also is a lot easier to clean and requires no maintenance. If you want to know more about cast iron vs enameled cast iron link to the cast iron showdown. Bare cast iron is typically cheaper than enameled cast iron. Enamel cast iron requires no seasoning. Enamel cast iron is not affected by acidic foods. Bare cast has a black colour while one of the benefits of enameled cast iron is that it offers a wide range of interesting colours. A cast iron enameled pot or pan does cost more than other varieties of nonstick cookware. However, unlike these cheaper pieces, enamel cast iron cookware is going to last a long time. In fact its not unheard of for cast iron to be passed down as an heirloom piece to family members. Enamel cast iron cookware also tends to be heavier and sturdier, which allows it to last for so long. Staub cookware undergoes a process that makes it resistant to chipping and cracking, even after continued use. 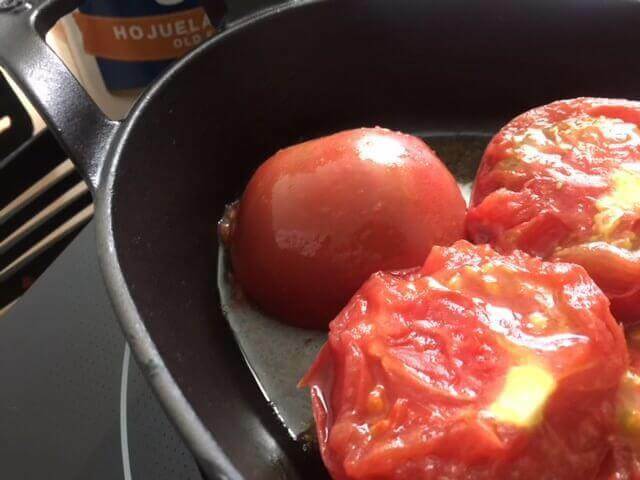 Find out why we love our Staub cookware “here”. Enamel cast iron cookware can be used on a variety of heat sources. It can be used under a grill, in the oven or on the hob just as easily. Which is why it is useful for a variety of cooking elements that include induction. Most enamel ceramic cookware has a flat base that allows for use on an induction oven. Owing to technological advancements and superior designs, most manufacturers of enamel cast cookware, particularly the high-end ones such as Staub on average use updated designs and ergonomic knobs that can resist heat to temperatures of 260 degree Celsius. Enameled cast iron both spreads and retains heat very well, which allows meals to remain hot. If you decide to serve any meals in an enameled cast iron oven, the chances are high that the meal will remain warm throughout. Thermal mass is what sets apart enameled cast iron from other cookware construction materials. Since cast iron gives an even surround heat is also why most people prefer baking in enamel cast iron using; casserole pots and French ovens at low temperatures for slow cooking. Enamel cast iron cookware is naturally more non-stick. The smooth enamel finish acts like a non-stick layer that is perfect for making a wide variety of meals. As long as you set the right temperature when cooking (low to medium heat), a light layer of fat will automatically cover the surface, therefore delivering the perfect browning effect. Another one of the benefits of enameled cast iron is that it’s so easy to clean. The enamel surface, which has non-stick properties, is very easy to clean and maintain. Most enamel cookware, especially quality and high-end ones like Staub, are easy to clean. They only need a non-abrasive sponge, lukewarm water and mild soap in most cases. Most manufacturers today also ensure that their range of enamel cookware is dishwasher safe for easier cleaning. After braising, roasting or stewing food, you definitely enjoy cookware that is easier to clean. One of the best benefits of enamel cookware is that it offers consumers variety in terms of sizes and colours. If you find a manufacturer that you like, it is easy to collect a wide array of enamel cookware in different sizes and colours. This can help to add a little flair to your kitchen. Different varieties also allow you to mix and match your existing cookware, kitchen décor or table settings easily. Enameled cast iron cookware does not experience any leaching. Unlike other types of cookware including stainless steel. Although stainless steel does leach fair less than other bare metal cooking surfaces.If you think regular cast iron is unsafe because iron is leached into you food then enameled cast iron could be right for you. Enameled cast iron does not react to acidic foods. This means that you can prepare a wide variety of food that are acidic. Foods like chili and sauces that contain large concentrations of acidic food like tomatoes which you may avoid cooking in bare cast iron. The main benefit of enameled cast iron is the fact it doesn’t rust. Unlike bare or traditional cast iron cookware, enameled cast iron cookware is not prone to rust. 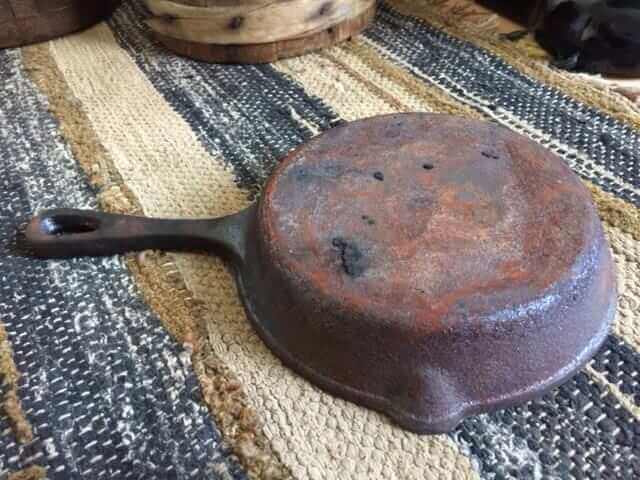 Bare cast iron can rust easily if it is not seasoned correctly. It can also rust when it is kept under water for extensive periods. This can happen if the pan is put away and stacked with not fully dry. Enameled cast iron has a protective layer of coating that protects it from rusting. Which allows you to soak it, boil water in it, as well as clean it inside a dishwasher. Buying enameled cast iron cookware. A large number of enamel cast iron brands out there are created to last for years. As such, they tend to be pricier than other categories of inexpensive aluminum or nonstick cookware. The prices of enameled cookware vary from mid-range prices to high-end cases such as Staub. With these high-end pieces, you typically pay for the design and durability. Also a trusted brand like Staub or Le Creuset are known to be the best and therefore will cost more. These two brands are the most expensive and the best enamel cookware. They also happen to be French, I’m sure this may factor into their pricing. A cast iron enameled Dutch oven or French ovens. A cast iron enamel Dutch oven is an essential tool in the modern kitchen. 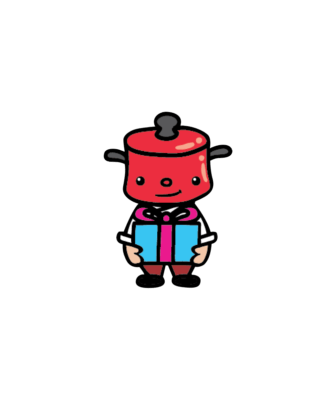 Dutch ovens can be used for preparing a broad variety of meals including: homemade broths, stews, soups and braised meats. A Dutch oven can even be used to prepare artisan styled bread. The thick walls and the heavy lids Staub enamel cookware allows stews and meats to come out tender and juicy. This is because moisture is recycled in the pot preventing evaporation and food to dry out. Dutch ovens can also be used easily on stove tops. These pots are perfect for making large quantities of meat and vegetables with little spatter or heat loss. A Dutch oven is also good for deep frying. A cast iron enamel saucier. A cast iron enameled saucier is the perfect tool for making sauces. With a cast iron enamel saucier is easy and less messy to pour. The smooth round edges makes it easy to whip sauces and combine different ingredients. 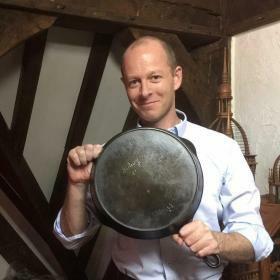 For cooking techniques such as low heat, low water methods, a enamel cast iron saucier will do you proud..
A cast iron enamel skillet. The cast iron skillet is so useful. Its already a favourite in many kitchens around the world. Just like a regular skillet it can fry, sear, braise can go from stove top and into the oven with ease. An enameled pan can do all of these without the need for seasoning. Staub enamel very hard and will not scratch easily. Also the black glaze keeping the beautiful look of a traditional skillet. Is enamel cast iron cookware safe to use? One of the main benefits of enameled cast iron cookware over traditional pieces is the inertness. The enamel coating is non-reactive with acidic foods. This also implies that it is suitable for varieties of meals and sauces. Chipped enamel may cause the exposed cast iron to leach into your food. As such, it is always advisable to purchase your cast iron from a reliable and trustworthy manufacturer. My favourite enamel cookware is Staub and Le Creuset. They have a long history of make top-notch cookware. Additionally, ensure that whichever enamel piece of cookware you purchase has a thick coating that will not chip easily. 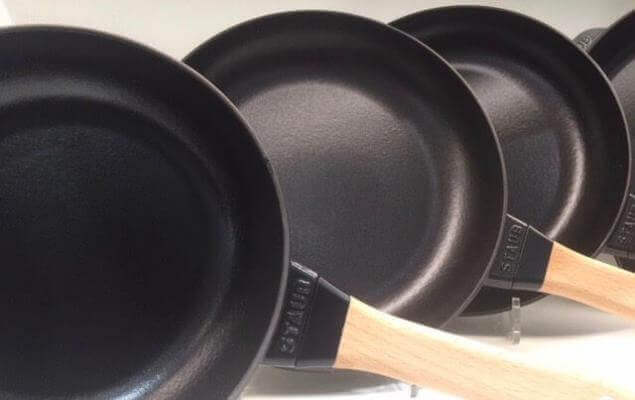 According to the FDA’s Center for Food Safety and Applied Nutrition, all varieties of enamel cast iron cookware must pass the center’s regulatory standards. This is aimed at enforcing safety of the cookware before sale in America. Whichever brand of enamel cookware you select, whether inexpensive or high end, standards are there to guarantee your safety. In any case, manufacturers have since discontinued the use of harmful substances during production. Tips for taking care of enameled cast iron cookware. 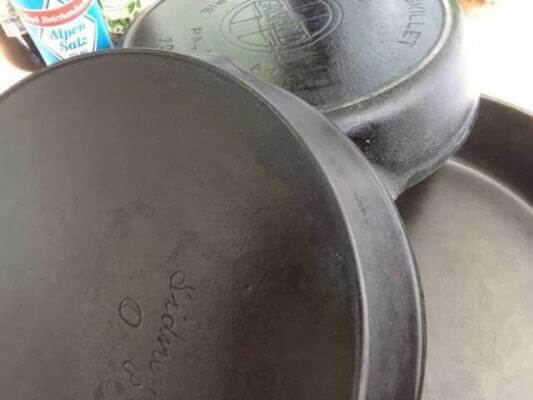 Clean your enameled cast iron cookware frequently to keep it in good shape. Failing to clean regularly can cause flavor carry over from one meal to the next. Which tends to interfere with food’s flavours and prevent food staining your cookware. 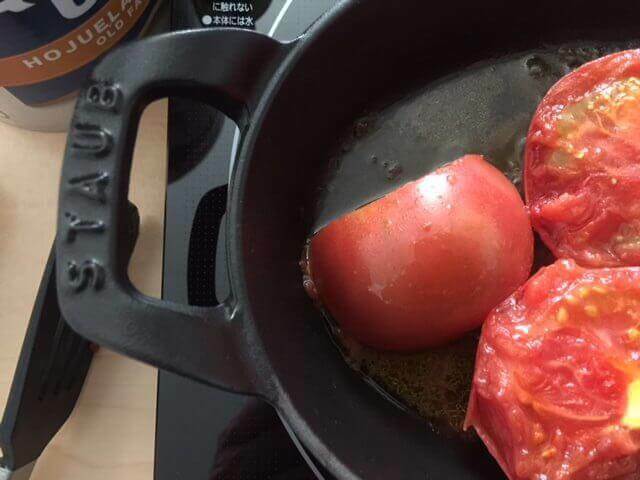 Wash your enamel cast iron cookware using warm water. If your cookware has any stains or spots, you can try removing the spotting using a damp cloth. If the stains are persistent, soak the interior for a few hours. Use a non-abrasive sponge so as to preserve the aesthetic quality of the cookware. Although most enamel cast iron cookware is safe for use in a dishwasher. I would recommend washing by hand. This will keep your glossy pots looking beautiful. 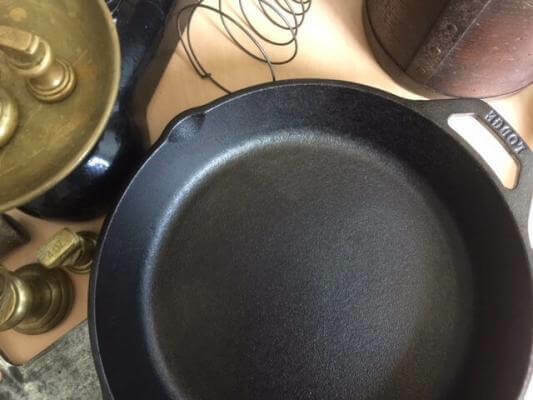 Some people do not use soap on bare cast iron because it may remove the seasoning. This is not an issue for enamelware. What do you think? We think there are many benefits of enameled cast iron. If you’re thinking about a new pan enameled cast iron would make a great choice. Previous article8 reasons why we choose Emile Henry cookware. Next articleVintage cast iron. How to identify Sidney Hollowware cast iron.